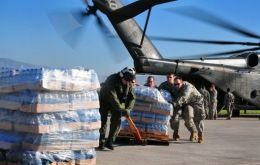 US space agency NASA will send surveillance flights over Haiti and the Dominican Republic to look for signs that more earthquakes may hit the area after a giant quake that killed as many as 200,000 people two weeks ago. Flooding and mudslides near Peru's Machu Picchu archaeological citadel have killed at least seven people and stranded 1900 tourists. An operation to airlift the foreigners out of the south-eastern disaster zone was suspended because of heavy rain after just 75 were flown out by helicopter. Canadian Prime Minister Stephen Harper speaking at the International Conference on Haiti taking place in Montreal conceded Monday that countries are in for a decade of “hard work” to rebuild earthquake-shattered Haiti. 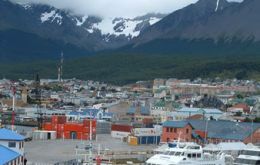 Ushuaia in Tierra del Fuego, extreme south of Argentina was again rattled this week with seismic activity of 5.3 points intensity in the Richter scale, although there were no human losses and minimum damage to property. Ozone levels over the west coast of North America are rising because of air streams carrying the pollutant from Asia, an international team of researchers says. The analysis of springtime ozone data collected since 1984 indicates the US may be unable to reach its Clean Air Act goals because of ozone emissions from overseas. Thirty members of the Haitian Football Federation have been confirmed dead and dozens others are missing following the massive earthquake that rocked the country. This was confirmed by Caribbean Football Union vice-president Captain Horace Burrell in a report sent to FIFA vice-president Jack Warner, following an assessment carried out last weekend. Brazil inaugurated this week the world’s first ethanol-fuelled power plant in the state of Minas Gerais. The flex-fuel turbine, which was converted from running solely on natural gas, began operating on December 31 and is currently in its optimization and testing phase. The earthquake which rocked Padang, western Sumatra in September last year killing more than 1000 people was not the 'great earthquake' which earth scientists are waiting for. In fact, it may have made the next massive earthquake more likely. Up to 200,000 people are feared dead as a result of the 7.0 magnitude earthquake that has destroyed much of the Haitian capital Port-au-Prince, according to officials. 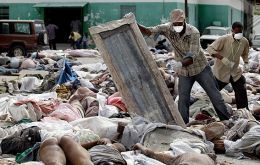 Trucks have been trying to collect the bodies that have been visible on the streets across the city for burial in mass graves outside the capital. 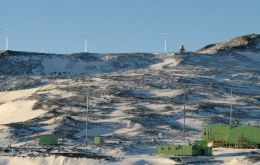 The biggest wind farm in ice covered Antarctica and which can generate enough electricity to power 500 homes, was formally switched on this weekend.